Even though I made this a week ago inspired by The Mixed Media Place, I was waiting for the Growing in Unity week to finalize before sharing this. 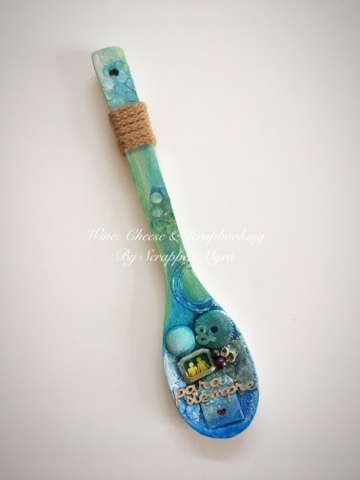 It's a wooden spoon I embellished. I used several media for this project. 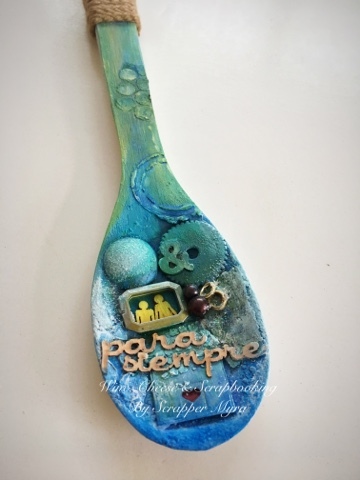 I started covering the spoon with white gesso and then applied acrylic and spray paints. I also used modeling paste, metals, wood, crystals and more. Some of them I painted or added texture. And some I just left with original color for the contrast. 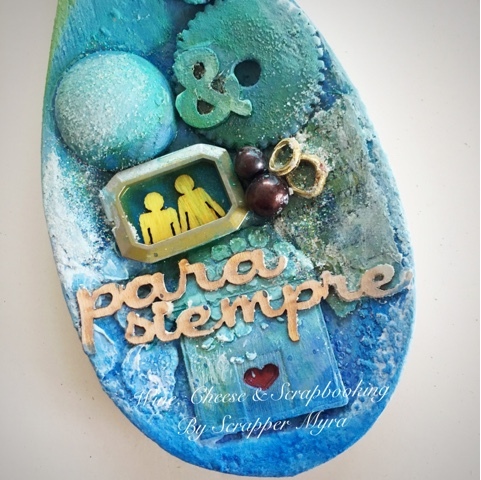 All wood veneers are from Latina Crafter... the house, the words "para siempre" (which means "forever"), and the couple. I cut the bottom part of these to frame them. Notice how the she is taller than the he... it's my DH and I!!! LOL. I even added the wedding rings and the "&" symbol. This is for me symbols of the togetherness and the "forever together" concept. 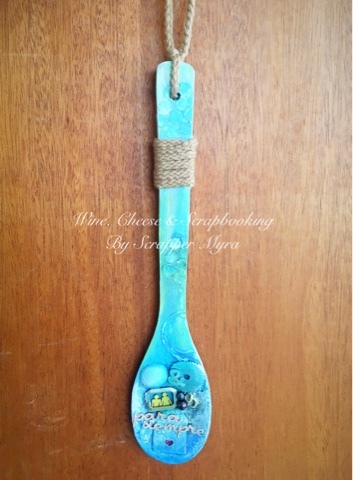 After completed project I added a hanger with the same material I tied around the spoon handle ... and my DH is looking a display spot. He loves to do that. Great idea! Thank you for joining us at MMP challenge!